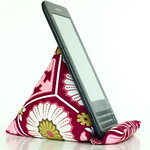 Small and medium PodPillows for Phone and Kindle can use any fabric of any weight. 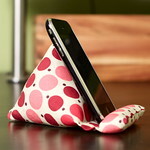 PodPillows for iPad need a heavier fabric; they work perfectly well, but tend not to hold their shape quite as well. 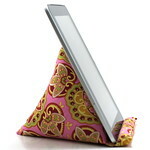 If you choose a lighter fabric, I can line it for $5 extra and make it an appropriate fabric for the iPad.